It’s been a great run for The Witcher 3. It’s not like the game needed more content when the base game could stretch into over 200 hours of playtime. Developer CD Projekt Red could have stopped there an still had one of the best RPGs ever made, but they continued on and gave even more to explore. The amount of content in the Blood and Wine expansion feels like a separate game in a good way. I didn’t want to The Witcher 3 to end, but Blood and Wine is an honorable sendoff to the series. 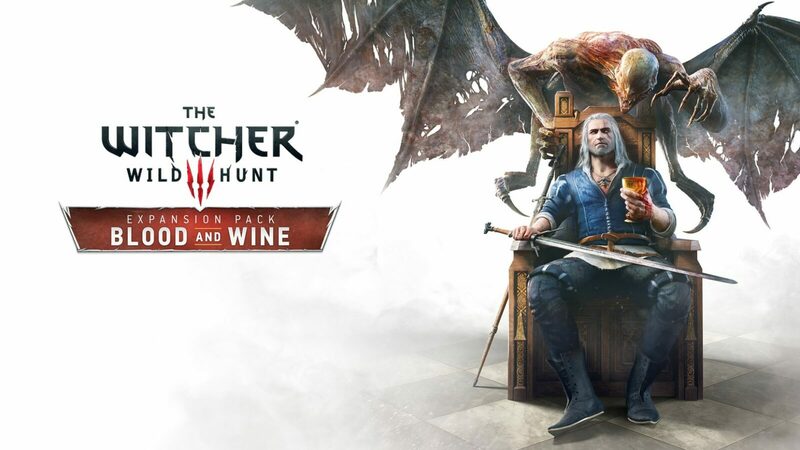 This final expansion takes place in the all new region of Toussaint after Geralt receives a contract to solve a mysterious series of murders thought to be the work of some strange monster. Filled with vibrant landscapes fueled by many vineyards, the French-inspired Toussaint is a vast and gorgeous land to explore. Boasting over 30-hours of new content, players will be busy encountering many different sidequests along with the main quest that live up to the standard of quality set in the core game. Paired with the last expansion, Hearts of Stone, Blood and Wine certainly holds its own as an expansion worth your time. However the main quest to Blood and Wine didn’t hold my attention as well as Hearts of Stone’s, which frankly, is quite hard to top anyway. Part of this has to do with the cast of characters not resonating to the same degree as many of the other characters in the series. Blood and Wine makes up for its main story by including a number of well done sidequests that perfectly capture the usual charm present in the rest of the game. If the sidequests weren’t enough, there are tons of new content and features that improve the quality of life for our favorite witcher. 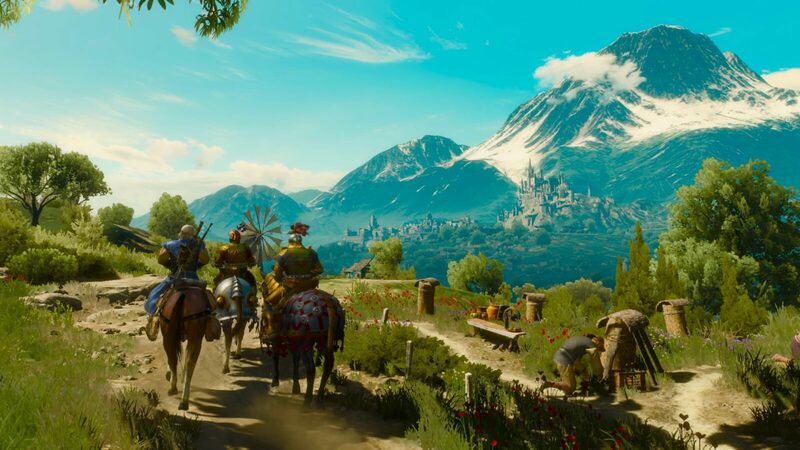 The shear scope of Toussaint is impressive in itself, rivaling the size of Velen and is way, way, way more pleasing to the eye, which is perfect, because players are given their very own vineyard that can be renovated to not only make it feel more homely, but also award Geralt stat bonuses and extra tools to make Geralt’s explorations more convenient. But back to the main story. I admittedly only played through it once, but it is worth at least one more replay due to three different endings and a couple branching paths, though some of these can be experienced through multiple save states. 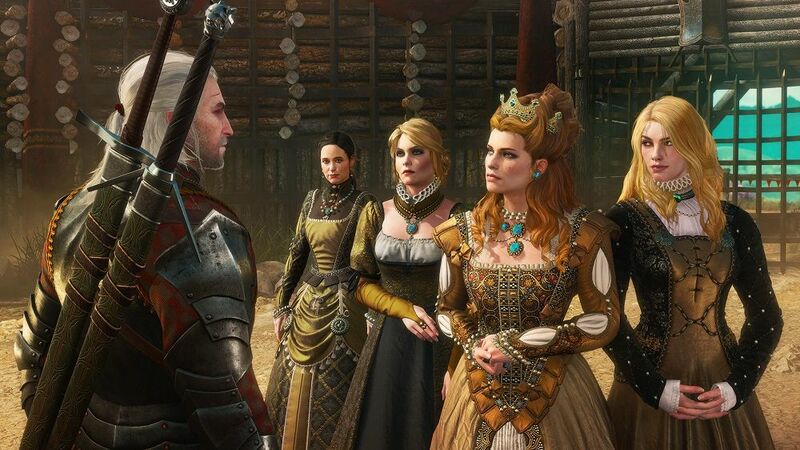 Parts of the story suffered from pacing issues particularly a time when Geralt is given a strict three day window by the Duchess to find his target, but is promptly fast-forwarded to the deadline with Geralt and his investigative partner declaring they flat-out had nothing. This jarring moment seemed to be an instance of cut content due to time constraints. The Witcher 3 has been known to share a morbid take of classic fairy tales, and Blood and Wine continues with an even greater focus which was one of my favorite parts of the expansion. As morbid as some of it was, it was often presented with black humor. The main story may not be the best The Witcher 3 has to offer, but that’s like saying strawberry cake isn’t as good as chocolate cake; it’s still cake. Before you even begin the expansion, you will notice that the game inventory menu has been revamped to make it more organized and less cluttered. Witcher potions and oils are given their own separate tab, which alone makes the whole remapping worth it. A new row of abilities have been added to each discipline, along with a brand new mutagen tree that, not only grants new abilities, but also unlocks additional ability slots. 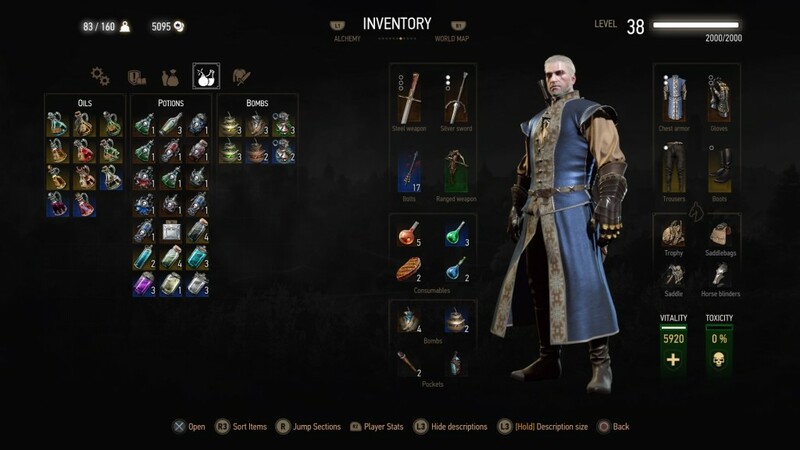 Additionally, a new class of witcher armor, the Manticore set, can be found as well as a new ‘Grandmaster’ tier for each existing witcher armor and weapon set. Witcher gear can now be dyed using a pallete of different colors through the acquisition of dyes. If that wasn’t enough, an all new Gwent faction, Skellige, has been introduced, as well. Toussaint looks like a warm, pastel painting come to life. Developer CD Projekt RED may have saved the best area for last. The capital of Beauclaire serves as a striking landmark that can be seen from far off distances. Coupled with the new look, a whole new set of graphical assets were used for foliage, which is something you don’t see too often on this scale. New assets like these grant Toussaint the authenticity of feeling like a separate region. Although not my favorite of The Witcher 3’s collection, I enjoyed the new music present. Some pieces, typically the battle themes, sound like reworks of existing themes from the core game, which sound good on their own. Voice acting is, once again, as strong as ever, breathing life into every character. One criticism I will make is how every kid is voiced by the same person, which wasn’t something I noticed until now. It normally wouldn’t be anything of note, but there were some very distinctly different children that played a fairly notable role in some quests that grew to be a little annoying. This is how DLCs should be made. The term has developed into such a bad word that using the word ‘expansion’ has to be used to separate the two. Blood and Wine has enough new content that it might as well be considered a separate spin-off game. The tone may clash with the feel of the main game both in pallete and plot urgency, but the level scaling is designed to be played very late into the game. Considering one can aquire this expansion in the season pass for $30 with Hearts of Stone included, I feel like CD Projekt RED actually underpriced the value, which says a lot about the quality presented. Boasting over 30 hours of content, Blood and Wine is an honorable sendoff to the Witcher series.